The resort of Bad Kleinkirchheim is made up of three areas in the valley of the Nockberge mountain range. The hotels in Bad Kleinkirchheim are equipped with spa and wellness facilities for deep relaxation after them heavy day carving the slopes. The town is home to many skiers and snowboarders including Olympic Gold Medalist Franz Klammer. In Carinthia, Austria lies the beautifully forested spa town of Bad Kleinkirchheim. This secluded ski resort reaches heights of 2055m and has just over 103 km of skiable terrain. The small town has a rich history, including many farming attractions and a village church which was built in 1492. Another great historic fact is that the town’s first ski club, which started in the 1400’s, and was home to more members than the whole population of the town! Since then the resort has grown massively hosting large events such as the AUDI FIS Ski World Cup circuit in 2015. The town has many sporting activities available for non-skiers too including hiking and snowshoeing. The ski resort has over 800 snow cannons throughout the 103 km of terrain which allows for guaranteed snow coverage throughout the season. The mountains of Bad Kleinkirchheim and St.Oswald are accessible by 26 ski lifts. 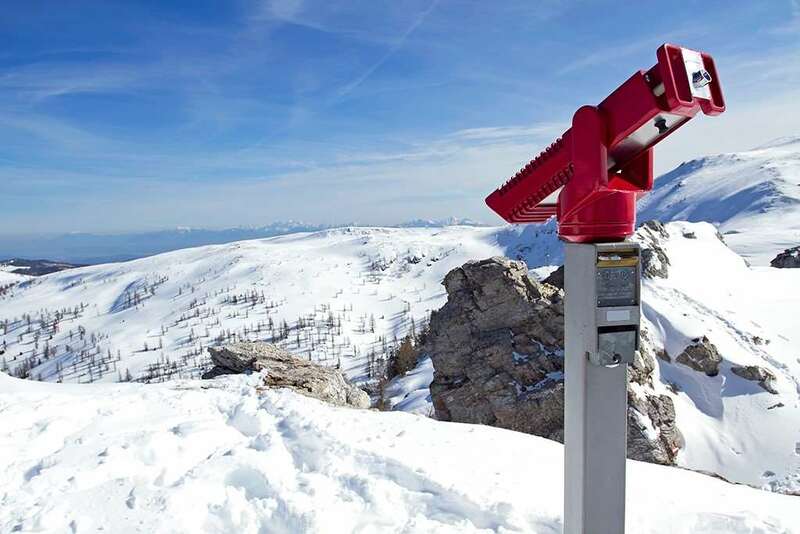 From the very highest point of the mountain skiers can witness some of the best panoramic views around which stretch for miles across southern Austria. The family friendly ski resort is perfect for all levels of skiers and snowboarders with runs catering for everyone from beginners all the way through to experts. For new starters and recent beginners, Bad Kleinkirchheim is the perfect place to learn to ski or snowboard. Learning with an instructor is the best way to build up your skiing confidence before hitting the big slopes and there are many ski schools to choose from here. For the little ones wanting to get their first feel for snow the ‘Kids Snow Land’ is filled with fun activities which help children of all ages find their skiing or snowboarding feet. Advanced skiers looking for challenging runs, the tree lined valleys are perfect for fine tuning techniques and discovering new untouched terrain. Ski huts can be found throughout the resort and on the mountain with live music for après ski entertainment. As the town dedicates itself to wellbeing, the resort is quite relaxed in the evening once the ski slopes are closed. The resort has many thermal spas and treatment rooms which skiers can enjoy after they return from the mountain. The Glass Palace is located at the very top of the mountain and is a very popular first stop for skiers at the end of the ski day for a great start to the après ski fun. There are many airports within a few hours’ drive of the resort the quickest being Klagenfurt (KLU), Ljubljana (LJU), Salzburg (SZG) and Graz (GRZ). As the resort has only one road in and out the transfer times really depend on weather conditions so guest are advised to leave plenty of time before leaving for the destination. Other airports include Innsbruck (INN) and Trieste (TRS) which are within a 3 hour drive.